Wonder Woman's awesomeness serves mostly to highlight the greater awesomeness of the guys around her. "You've buried yourself for a century!" Bruce Wayne (played in this latest iteration by Ben Affleck) scolds Diana Prince aka Wonder Woman in the middle of the new "Justice League" film. Wonder Woman (played by Gal Gadot) has been indeed lying low, her heroics limited to private acts following the death of her lover Steve Trevor, as depicted in the first "Wonder Woman" film earlier this year. But by keeping her head down, Wayne argues, Wonder Woman has shunned her duty as well. Wonder Woman is supposed to be a beacon, not simply an extension of the fire department. She's supposed to inspire citizens to be better. Batman's right. Wonder Woman, as originally conceived by her creator William Marston, was designed to be an icon of empowerment. Bruce Wayne blames Diana for not living up to her remit. But the truth is, her failure to do so is his fault — and, more broadly, the fault of the executives, writers, and creators behind "Justice League." 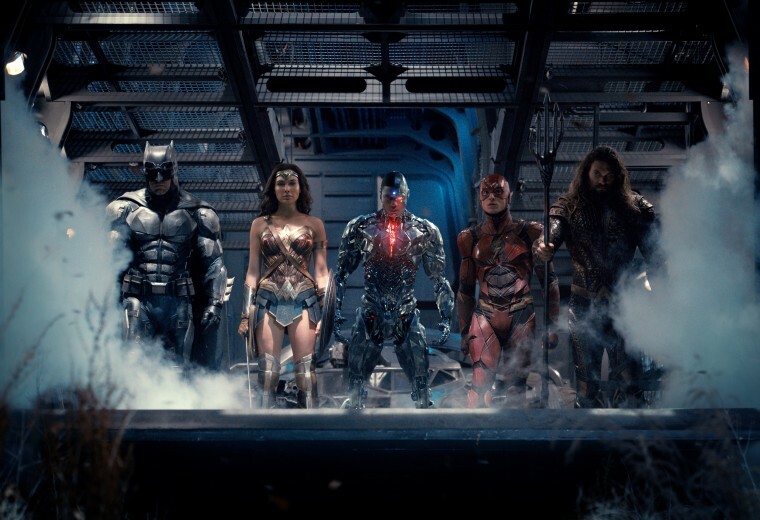 "Justice League" is one of the winter’s biggest blockbusters, but in the process of combining the DC Universe’s main protagonists, it makes Wonder Woman a secondary character. Her story takes a backseat to the heroism and reconciliation of Superman (Henry Cavill) and Batman. In her original comics, Wonder Woman was the most heroic, most important, most awesome person in the world. But in Justice League, she's become just one hero in a crowd of guys. The original purpose of the character has been dismantled. William Marston, Wonder Woman's creator, was a psychologist, a visionary, and more than a bit of a crank. He believed that society was too masculine, so he created a female hero who could teach women — and as well as men — how to embrace a feminine strength. "It seemed to me from a psychological angle, that the comics' worst offense was their blood-curdling masculinity," he wrote in a 1944 article about his creation. "A male hero, at best, lacks the qualities of maternal love and tenderness which are as essential to a normal child as the breath of life." Marston created Wonder Woman to serve as a feminine archetype — or in his terms a "love leader." Love leaders were women who used their feminine "allure" to seduce and inspire both women and men to submit to an utopian matriarchy. Marston's vision sounded loopy in his own time, and in our day his ideas about women sound regressive. But whether or not you buy his gender essentialism, the upshot was stories in which women ruled the page. In the original Wonder Woman comics, many stories involve her transforming entire sexist societies. For example, in one early adventure, Wonder Woman fights the Mole Men, a group of twisted subhuman underground dwellers who enslave women. She teaches them that women should rule, and leaves Mole Men, male and female, ennobled and happy. In another comic, Wonder Woman's image is literally burned into the brain of evil industrialists, turning them into good public servants. The original Wonder Woman comics believed that when women lead, everyone benefits. In contrast, most superhero stories are centered around the exploits of men. Even Patty Jenkins' "Wonder Woman" film couldn't resist giving Steve Trevor (Chris Pine) a central, inspiring narrative role that he certainly didn't have in the original comics. Still, while Trevor’s role might have been outsized, he remained a sidekick to Wonder Woman’s hero. Making her a second wheel in "Justice League" is painful to watch. Not that this is merely a contemporary problem: In the original Justice League comics, she infamously served as team secretary. Some writers have even made Wonder Woman into Superman's girlfriend. Guys have to be stronger than the women they're dating; therefore, Wonder Woman naturally will date Superman (or sometimes Batman.) This plot line makes sense, if you think men are the most important gender on earth. The greatest hero in the world is reduced to merely the greatest female hero; she needs a man to teach her about superheroing. The new "Justice League" film is by no means that bad. But you can still see similar dynamics at play. The film's heroic, inspiring moral center is not Wonder Woman, but Superman. The guy who brings the team together, and teaches Wonder Woman how to be a leader, is Batman. It's also Batman who gives Flash (Ezra Miller), tips. The greatest hero in the world is reduced to merely the greatest female hero; she ultimately needs a man to teach her about superheroing. Wonder Woman's centrality in the original comics was meant to be an inspiration particularly to girls. Marston always had storylines in which Diana would teach sorority sisters that they could be better athletes than men, or in which she inspired evil women scientists to forsake badness and use their genius for good. In "Justice League," in contrast, you hardly ever get to see Wonder Woman through the eyes of another woman or girl. Lois Lane (Amy Adams) is understandably focused on her martyred boyfriend Superman (Henry Cahill); she and Wonder Woman barely speak. The Amazons get an action sequence, but Wonder Woman never gets to be on screen with them. The Diana who is an inspiration to women is mostly replaced by the Diana who is the object of low-key sexual/romantic interest from Batman, Flash, Aquaman (Jason Mamoa) and Cyborg (Ray Fisher). It didn't have to be this way. The "Wonder Woman" film was by far the most successful entry in the DC superhero franchise, both critically and commercially. And Gal Gadot is easily the most charismatic performer of the core five heroes; Flash speaks for us all when he tells Wonder Woman everyone would back her if she killed and replaced the stiff, pompous Batfleck. It's easy to imagine a "Justice League" movie centering around Wonder Woman the way the X-Men movies ended up centered around Wolverine. Instead, Warner Brothers chose to follow the usual script. Wonder Woman ends up as a token and her awesomeness serves mostly to highlight the greater awesomeness of the guys around her. Back in the 1940s, Marston was able to imagine a world in which women's stories were at the center of the world. The "Wonder Woman" film notwithstanding, that's still a revolutionary vision.